New Delhi: Union Government presented Interim Budget 2019-20 in Parliament today. Budget, as expected, given big relief to the taxpayers. Individual taxpayers having taxable annual income up to Rs.5 lakhs will get full tax rebate and therefore will not be required to pay any income tax. The Finance Minister added that even persons having gross income up to Rs. 6.50 lakhs may not be required to pay any income tax if they make investments in provident funds, specified savings, insurance etc. In fact, with additional deductions such as interest on home loan up to Rs.2 lakh, interest on education loans, National Pension Scheme contributions, medical insurance, medical expenditure on senior citizens etc, persons having even higher income will not have to pay any tax. 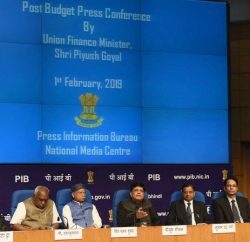 The proposed announcement is expecting to provide tax benefit of Rs.18,500 crore to an estimated 3 crore middle class taxpayers comprising self-employed, small business, small traders, salary earners, pensioners and senior citizens. For salaried persons, Standard Deduction is being raised from the current Rs. 40,000 to Rs. 50,000, which will provide additional tax benefit of Rs.4,700 crore to more than 3 crore salary earners and pensioners. 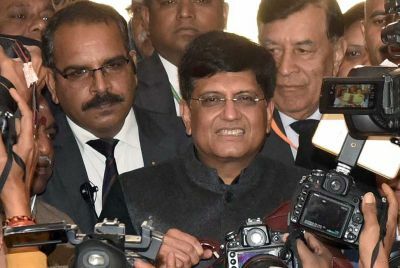 The Modi Government, in a poll year, also proposed to raise the Tax Deduction at Source (TDS) threshold on interest earned on bank/post office deposits from Rs.10,000 to Rs.40,000. Further, the TDS threshold for deduction of tax on rent has also been proposed to be increased from Rs.1,80,000 to Rs.2,40,000 for providing relief to small taxpayers. It has been proposed to exempt the levy of income tax on notional rent on a second self-occupied house. Currently, income tax on notional rent is payable if one has more than one self-occupied house. Further, the Finance Minister proposed to increase the benefit of rollover of capital gains under Section 54 of the Income Tax Act from investment in one residential house to two residential houses for a taxpayer having capital gains up to Rs. 2 crore. This benefit can be availed once in a life time. For making more homes available under affordable housing, the benefits under Section 80-IBA of the Income Tax Act is being extended for one more year, i.e., to the housing projects approved till 31st March, 2020. Also, for giving impetus to the real estate sector, the Finance Minister proposed to extend the period of exemption from levy of tax on notional rent, on unsold inventories, from one year to two years, from the end of the year in which the project is completed. 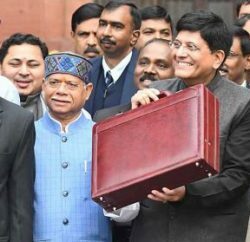 In a major announcement in interim budget, Piyush Goel has announce to give assured yearly income of Rs. 6000 per annum under PM-KISAN, benefiting about 12 crore small and marginal farmers.